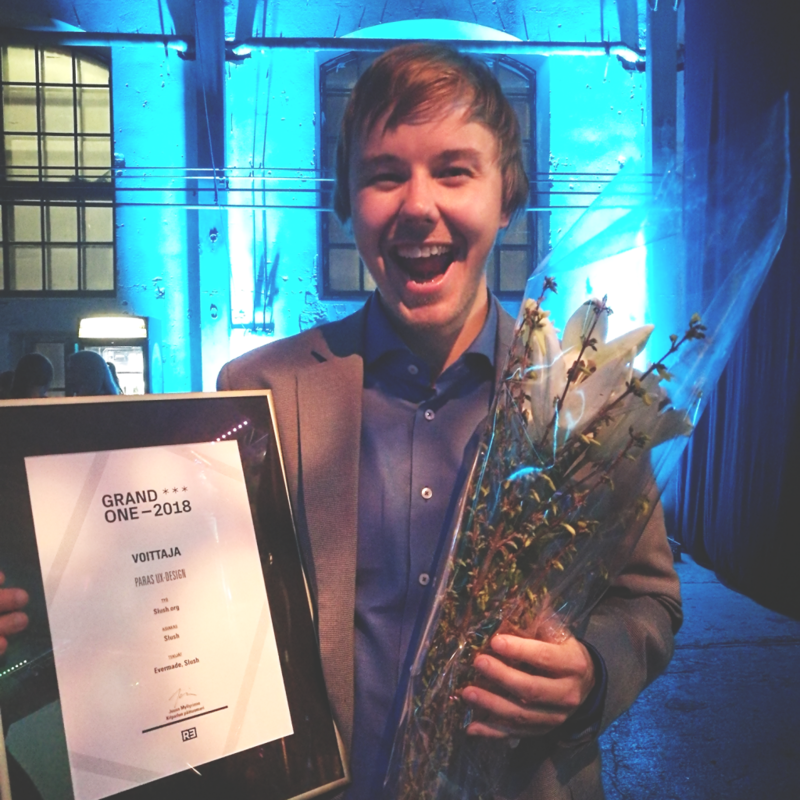 Grand One is the biggest digital media competition in Finland. The jury rewards the best digital media work in 18 different categories. The competition was held the 22nd time this year, and a record amount of works – over 250 in total – were submitted. 19 works competed in the Best UX-design category. 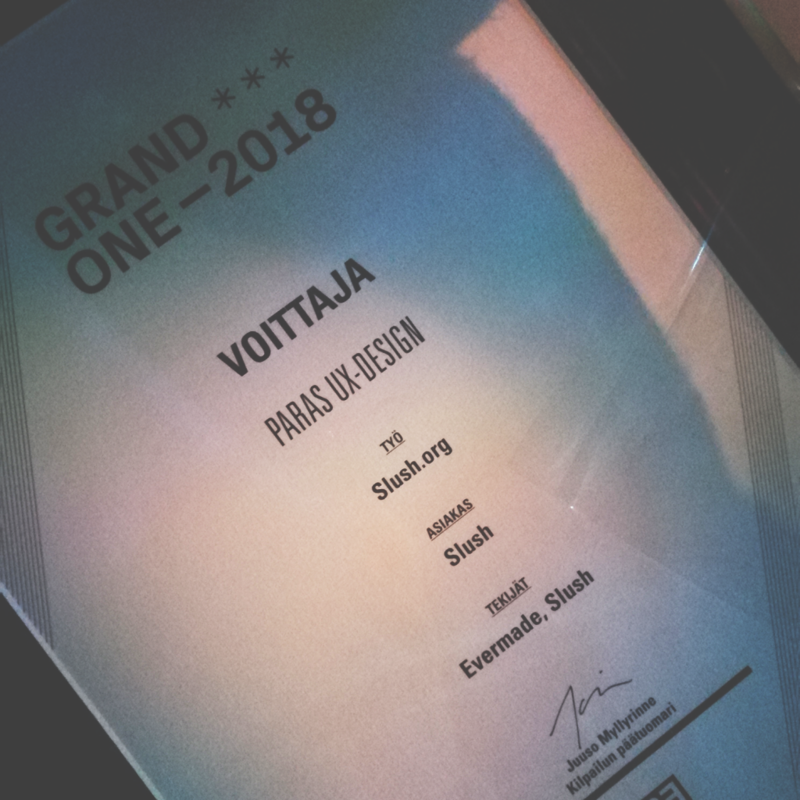 Slush.org received the award over the other three finalists. 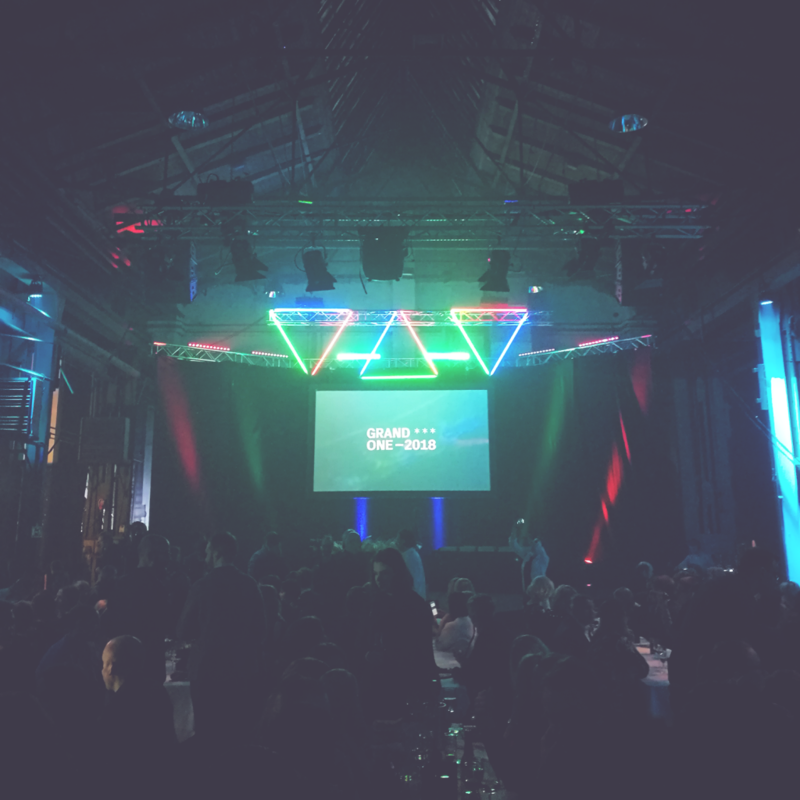 We’ve been blessed with the opportunity to work with Slush since the 2013 event. The most interesting challenge has always been the fact that Slush keeps growing rapidly. Every year it’s not just a bigger event, but multiple big events. Read more about our work with Slush here. Over the years, the amount of people updating and further developing the content has increased drastically. It’s fair to say that also the expectations for the event are lifted higher and higher every year. Every year the site goes through multiple changes, because the event changes, and so do the users’ needs. It has been an amazing journey for Evermade to work with such a unique event and team. We continue working with Slush on the 2018 event and hopefully for many more years to come. You know your audience, right?